Mr. Lounge | Mr. Lounge's Modern Retro Lounge Music - Sax & Cocktails | Mr. Lounge's "Where's The Retro?" 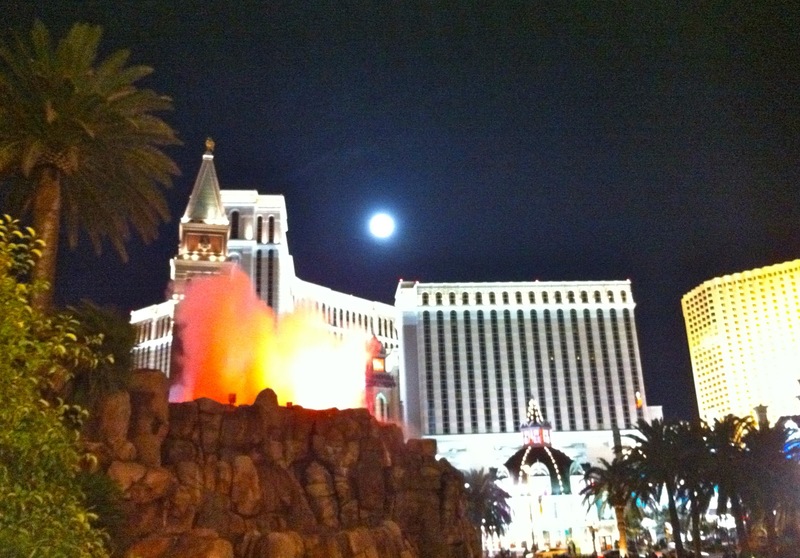 Blog : Where's the Retro in Vegas? Another part of my trip to Vegas was to try to experience the 50’s & 60’s Retro Vibe that the city is known for. The Venetian in the background. But one of the saddest aspects of Vegas is that the constant need to remodel and update the casinos and hotels to stay lucrative and competitive causes a void in their history as the mecca of everything Retro. The history of entertainment from this spot on Earth is so rich that to overlook it and take it for granted is a shame. Whether you are talking about the epicenter of gambling in the 60’s or the definition of show business with the likes of Frank Sinatra, Dean Martin, Sammy Davis and crew, or the glitz and glam of the shows on The Strip, Vegas is to Entertainment as New Orleans is to Jazz. As they remodel or implode and remove the historic landmarks that set the stage for classic Retro Vegas, it becomes harder and harder to visit these iconic treasures. The Sahara(scheduled to close May ’11) was considered one of the the last playgrounds for the Rat Pack. The Sands, Dunes, Stardust, New Frontier have all disappeared. That being said, the last time we visited Vegas, we stayed at the Paris Las Vegas Hotel. Now 6 years ago this was quite a spot. A new type of Vegas but fun and magical(kind of an adult Disney). This trip we stayed at the Wynn(breathtaking) and we did a walk through The Paris and I was shocked at how dated and stuffy it felt. It is amazing how modern architecture and design evolves and the impact it has on our overall experience. With the amount of revenue involved on a day to day in Sin City, you must stay relevant! Here’s an interesting video collection of implosions of important hotels in Vegas. They become entertainment events on their own. Remember, this was the town that promoted itself as "Atomic City" as it drew tourists to view the mushroom clouds of the 1950's above ground nuclear bomb testing at the Nevada Proving Grounds, 65 miles away(hence the Atomic Cocktail).